Take a look at the early results from today’s big event in Hawaii, the 27 mile Maui to Molokai SUP race. 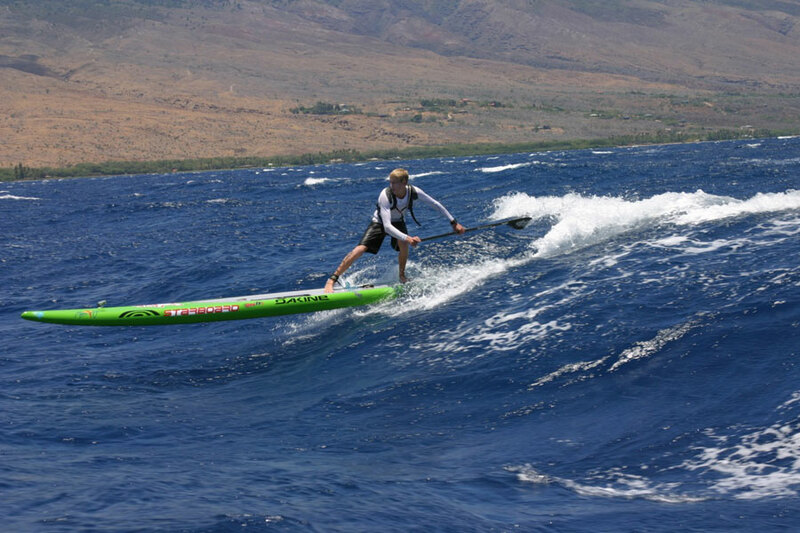 Plenty of the world’s best are on the islands for “Downwind Month” so expect a stacked field to line up on the West side of Maui for the epic crossing. All eyes will be on defending champion Connor Baxter, who will be looking to not only defend his M2M crown but also make a statement ahead of the big Molokai-2-Oahu race in two weeks time. Last year Maui-Molokai was part of the Triple Crown of SUP, but those three events were cut down to one this year, leaving organisers to label today’s race the “World Cup of SUP” instead. 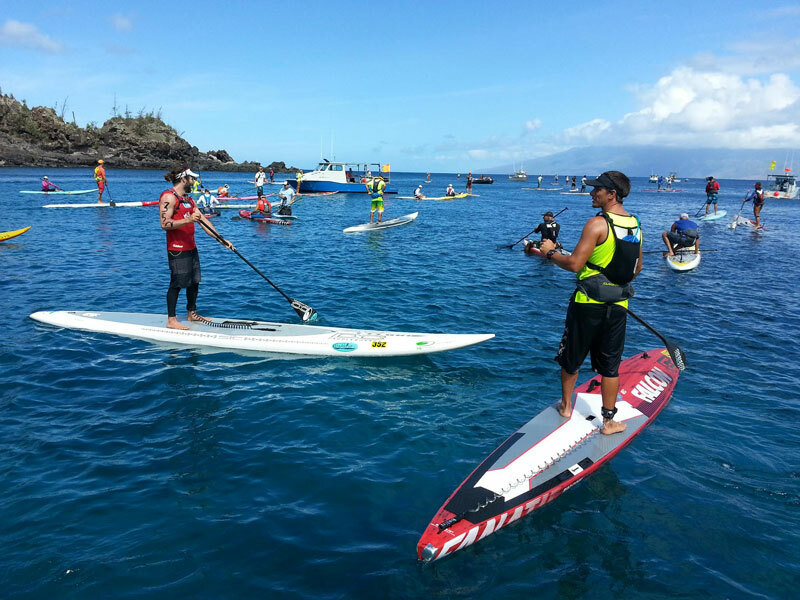 Despite often getting lost in the excitement surrounding it’s older sibling, the Molokai-2-Oahu event in two weeks time, the M2M is a huge race in its own right. The course is 27 miles, just 5 miles shy of the M2O distance, making it a huge commitment by all competitors. 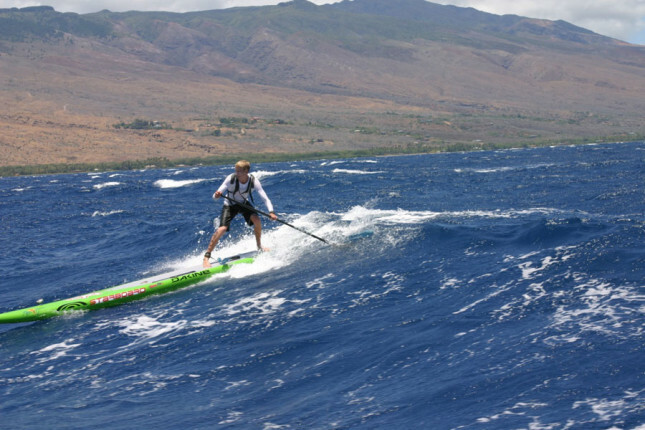 Plus the conditions in the Pailolo Channel between Maui and Molokai are usually better for downwinding than in the famous Ka’iwi Channel between Molokai and Oahu. That makes the M2M more “fun” for the paddlers, even if it doesn’t have quite the same prestige as M2O. >> SATURDAY UPDATE #1: The first paddlers are just approaching Molokai now and no surprise… Connor Baxter is about to claim the 2013 Maui to Molokai title, going back to back and sending a strong message to his competitors ahead of the Molokai-2-Oahu race in two weeks time. >> SATURDAY UPDATE #2: Travis Grant (Australia) takes 2nd, Dave Kissane (Australia) 3rd. Terrene Black (another Aussie) wins the women’s race. 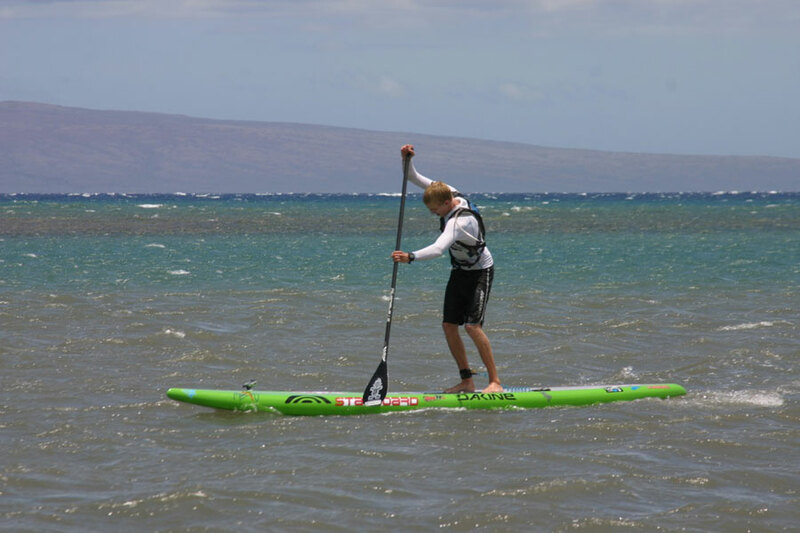 Awesome effort from Travis, who beat out plenty of local and more experienced paddlers. Amazing effort from Kissane as well, who’s highly under rated despite beating consistently beating competitors half his age (Dave is over 40!). >> SATURDAY UPDATE #3: Still waiting on full results and times… Stick with us, we’ll have them posted as soon as we hear something. >> MONDAY UPDATE: Still no news on results from the organisers… we’ll update you if we hear anything. 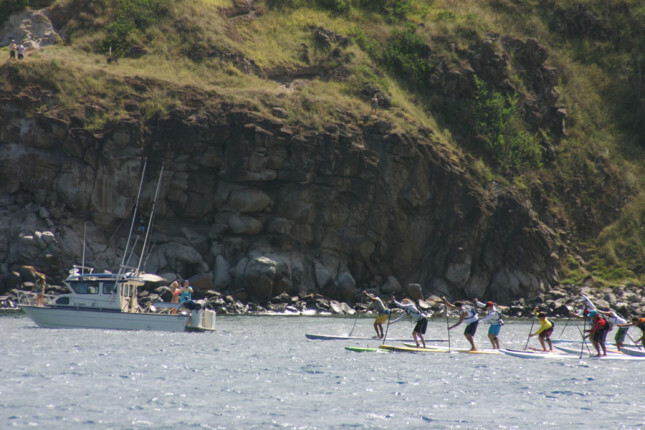 In the meantime, check out Connor Baxter’s recap of Maui to Molokai race for some cool insights and awesome pics of the race. >> WEDNESDAY UPDATE: Final results are.